Equal Pay Day has no fixed position, instead, it’s a symbolic indicator of how far into the year women must work to earn what men earned in the previous year. A similar date is set aside in the UK but using slightly different logic. 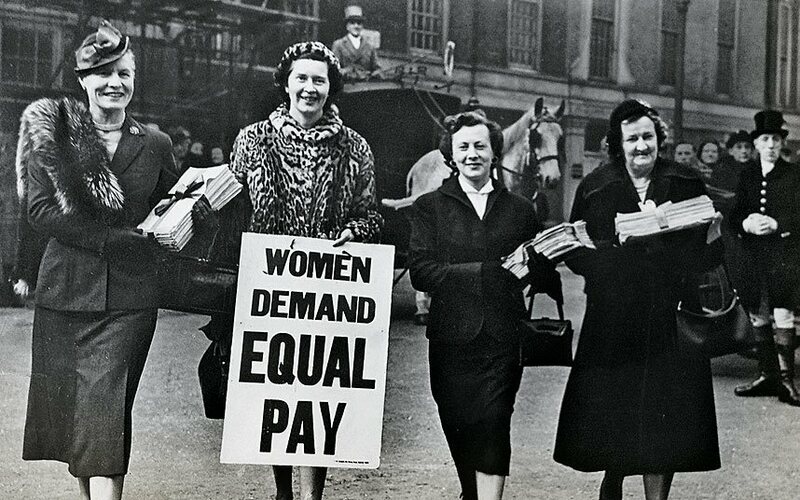 In 2018, Equal Pay Day fell on the 10th of November, which symbolised the day that the average woman would effectively be working for free for the rest of the calendar year when her salary was compared to that of the average man. The resulting awareness campaigns and ‘out of office’ emails from female execs were a much-needed wake up call to management across public, private and charitable organisations alike. The gender pay gap is something that’s gained a lot of publicity in recent years. In many countries, companies over a certain headcount are now legally required to report on their gender pay gap figures. Despite the extra administrative burden, the results have been revealing. In the UK, there is no single industry where women are paid better on average than men. Unsurprisingly, British football clubs had the biggest gap with Stoke City showcasing the largest gender pay gap of all companies in the UK at 91%. However, those results are skewed by a small percentage of extremely highly paid footballers. Remove the footballers and the pay gap still exists but at a much lower level. Things really get interesting when looking at sectors like banking/finance - 59% gap - or even fashion brands that sell women’s clothing - 71% gap - who defend their positions by saying that the pay gap exists as a result of more men holding senior positions. Seems like a bit of a weak defence, but I suppose they had to say something. Understandably, the results have provoked a mixed set of responses, from shock and outrage to expected confirmation. But whilst analysts and reporters dissect the detail, only a few have commented on another related issue that is arguably as significant when looking into inequalities related to pay - the race pay gap. Why is nobody talking about race? The Equality and Human Rights Commission is Great Britain's national equality body which aims to make the UK a fairer place to live and work. In August 2018 they commissioned a large piece of research into “measuring and reporting on disability and race gaps” which aimed at building on the momentum of the gender pay gap and used the same approach to shine a light on potential inequalities in how people with disabilities, or from ethnic minorities are paid. Their motivation being that transparency leads to increased awareness and eventually change. They also calculated that improving the employment rate and workplace progression for people from ethnic minorities could contribute £24 billion per year to the economy; raising the participation of disabled people could reduce the annual £100 billion cost of people being out of work. The report found that only 3 percent of employers measure their disability and ethnicity pay gaps. Shortly after the report was published, Theresa May launched a consultation as to whether there should be mandatory reporting of ethnicity pay gaps in the workplace, just like there is for the gender pay gap. She was determined to demonstrate how committed both she and the government were to ending “burning injustices” in Britain in the aftermath of Brexit. The news was welcomed by equality rights campaigners but shunned by neo-liberal economists who argue that the there are hundreds of different ethnicities, and that simply categorising people into white and non-white for the sake of arbitrary numbers isn’t a helpful or valuable use of time. 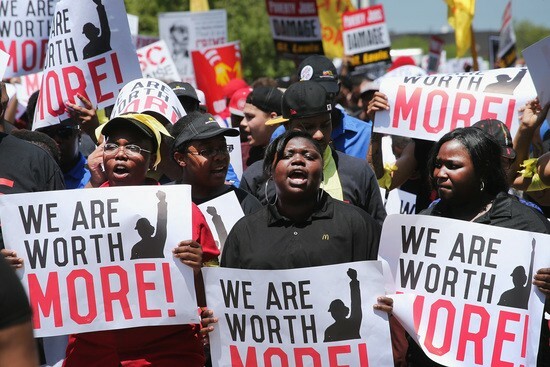 As one economist noted, generally pay rises as people get older, and because the average working age in the non-white community is 30 compared to 41 for white people, the figures will be skewed. That may be the case and of course, there will be many different reasons behind potential ethnicity related pay gaps, but isn’t it worth looking at so that we can at least understand more about potential inequalities within our society? Then if there are obvious pay discrepancies related to race, gender, disability or any other minority that historically has faced discrimination, then surely we can act. Ask yourself, would you want to know? Whilst there isn’t as much research on the subject of an ethnicity pay gap, we do know that it exists. In the UK, the race pay gap can reach as high as 17 per cent for some minorities. In late 2017, a study from think tank Resolution Foundation found that black and ethnic minority employees are losing out on £3.2 billion a year in wages compared to colleagues that are doing the same work. Other key findings from the study indicated that Pakistani and Bangladeshi male graduates earned an average of £2.67 per hour (12%) less than their white peers, and amongst female graduates, black women faced the largest pay gap of £1.62 an hour (9%) less than their white counterparts. Representatives from the think tank argue that the study demonstrates “a huge blow in the living standards of those represented”, and that whilst people that identify as being part of the BAME community have made great strides in terms of education, degree attainment and employment overall, “many of Britain's 1.6 million black, Asian and ethnic minority workers face significant disadvantages in the workplace”. Of the 3% of organisations that have reported on their race pay gap statistics, ITN found that its BAME employees were paid 21% less per hour than its white employees. And, in the public sector, London's Mayor, Sadiq Kahn found that BAME staff in the capital were paid up to 37% less on average, with particular stark differences in the police force. According to the authors of the report, if the gap continues to grow at the current rate, unaddressed, then the median Black household wealth is on a path to zero by 2053, just 10 years after it was predicted that households of colour will become the majority in the States. A sombre thought to say the least. So, why does the gap exist? As you can probably imagine, there are a plethora of different reasons why an ethnicity pay gap might exist. Those reasons also change when comparing countries like the UK and the US, where there are different laws, governments, cultures and people. However, many people argue that the pay gap exists because there simply isn’t as many BAME employees in senior management positions. When global giant PwC identified a race pay gap of 13% this was exactly the response of senior partners. The theory is also backed up by data. In the UK, ethnic minorities make up more than 12 percent of the working-age population but only 6 percent of senior management roles. So if we’re to accept this conclusion, then another question arises. Why are so many organisations failing to recognise and develop senior talent in their BAME employees? Research has shown that minorities are less likely to be given timely and accurate performance feedback from managers. This happens partly because managers are wary of giving negative feedback for fear of being accused of discrimination, but it might also reflect a lack of concern about improving the person’s performance and developing them further. The harsh truth is that we all have our own inherent bias. 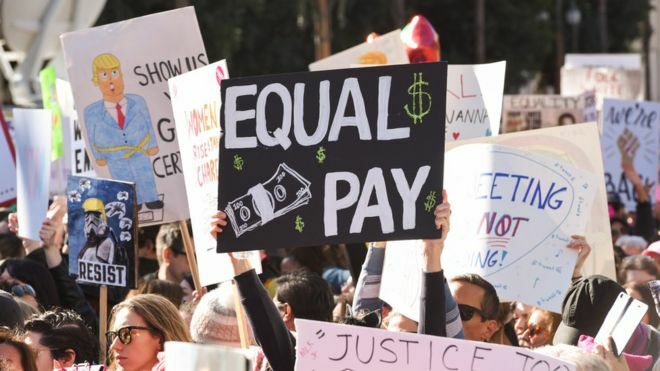 Race pay gap reporting may create transparency and awareness like the gender pay gap has, but the work won’t stop there. In order for equality to be achieved, BAME employees must be able to receive the same career development as their white counterparts. This means the people who create and operate the structures within organisations need the right training so they can make better, unbiased decisions. We know that more diverse workforces make more successful organisations. They are able to react better to customers’ needs and ultimately make decisions that truly reflect the evolving nature of multicultural societies. By shining a light on this issue along with other inequalities and injustices we can all play a part in making the world a more equal place to work.